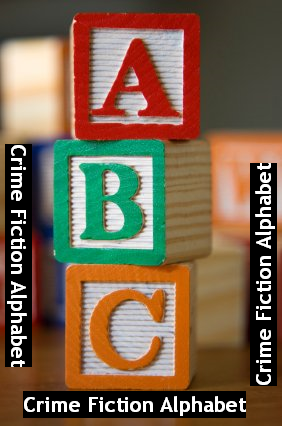 Mea culpa: I have been flat-out atrocious at participating in Kerrie at Mysteries in Paradise's excellent Crime Fiction Alphabet meme this year. It's been a strange old year, on a number of fronts, and I just haven't been doing quite as much online crime fiction stuff as in the past, at least in any regular manner. However, it is a great thing that Kerrie has established and run the past few years, and so I'm going to try to rectify my tardiness (and fill in a few letter gaps) in the coming few weeks. This week is the letter 'V', so I'm going to feature one of the best books I've read this year, Vanda Symon's standalone thriller, THE FACELESS, a cracker of a crime novel. Symon has already established herself as one of the premier crime writers in this part of the world, with a series of four good to great novels starring feisty female copper Sam Shephard, laced with humour, personality, and personal life amongst the crime. Now, she has mixed things up a little (and kicks them up a notch) with The Faceless, a confronting stand-alone thriller set on the ‘mean streets’ of Auckland that takes a decidedly darker turn. THE FACELESS takes readers to some pretty uncomfortable places, both in terms of story and character, and deals with some very interesting, even fairly confronting, issues: homelessness, domestic drudgery, shrivelled dreams, family violence, loyalty, grief and loss, and how we can move through life not really ‘seeing’ so many of the people that surround us. Bradley, Billy, and Max all have broken relationships with their families, feel disconnected, from the people they love, their former lives, and wider society. In their own ways (and at their own speeds) they are each searching for something, for meaning. While some readers might miss the lighter touches of the Sam Shephard books, THE FACELESS is a terrific, well-paced, well-plotted, dark thriller. Tense and thought-provoking; highly recommended. I met Vanda at the SheKilda crime writing convention in Australia in 2011 and I became a big fan of her work. I am delighted to say that she enjoys my thrillers too. She deserves every success! I've just ordered this from my library on your recommendation - and because I liked the Sam Shephard books very much. Indeed I'm waiting for the next episode in her working and personal life, but expect to enjoy this non-series one just as much. I've just read The Faceless and it is an excellent book. Technically it's more complex than the Sam Shepherd novels and Vanda Symon handles the multiple voices and the interweaving of action and back stories, Max's in particular, without missing a beat. There is one loose end that's rather noticeable and may cloud the generally upbeat conclusion, but I only mention this because Billy and Max are people one wants nothing but the best for. Highly recommended!